Vol 1, because I'm likely to write a few blog posts about speccy. You never know. At least a couple. I got inspired to do some stuff for the good old ZX Spectrum, an 8-bit computer I played with as a child. I dug up some small device C compilers which had speccy targets, and built a development environment that I'm comfortable with (all code available on github), wrote some code against an emulator and was so pleased with the result that I wanted to try it against real hardware. After acquiring my old speccy from my parents place, I hooked it to my tv-to-usb dongle and power, and... got no picture. 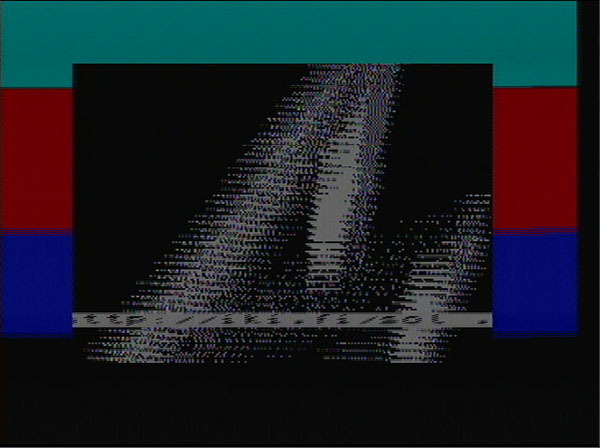 My first reaction was that okay, it's old, but I can put it on display or something, but then googled common issues with zx spectrum and no image, and found that it's a very common problem with several tutorials out there showing how to fix it. Those tutorials have so good images of the modification that I didn't even bother taking photos of my own work. As I didn't have much to lose, I did the modification, tried again, and got image. In minimal form, it's literally just cutting a couple of cables and soldering one capacitor in. So now I had a speccy that outputs image - just a couple of problems though. First, there was a very scary buzzing noise whenever power was hooked in; I didn't want to fry anything, so I didn't keep the power on for long. Further googling revealed that the noise comes from the power coil that is used to generate the various voltages the spectrum's motherboard requires, and because it had become loose over time, it made more noise. The original speccy service manual says that if the coil generates "too much noise", it should be replaced. There's no way to get new speccy coils as far as I know, and before you suggest it, no, I'm not coiling one myself. However, several posts on the speccy forums stated that the noise is normal and actually a good thing, as it shows that the power is working. Based on some suggestion I hazarded to put some superglue on the coil, and the buzzing volume dropped to more manageable levels. The third problem was also a common one - over the decades the keyboard membrane had became really brittle and had oxidized, so it was really useless. I considered building a ps/2 adaptor to hook a real keyboard to the spectrum, but after soldering about quarter of the headers required, I gave up and just spent the ~20 eur for a newly manufactured membrane. After that arrived (just in time before the finnish postal service decided to start their strike), I just put that in and now I have a fully functional speccy. That's a screen cap from the real device. Borders show how much of the frame each code block takes (music, scroller, background effect. The image is a bit dark, which would possibly be fixed by replacing a bunch of the old caps on the motherboard, but since I'm mostly using the device to verify that code works on real hardware, and that replacing said caps would be way more work than I've put into the hardware so far, I'll live with it. I also bought a 128k spectrum off ebay, but it hasn't arrived yet, and won't for a while due to the aforementioned postal strike.